The Truth About Flooding - Scarsdale Premier Insurance Agency | Advocate Brokerage Corp.
You hear a lot about flooding and flood insurance yet even with all the noise, it’s still easy to think, “I don’t live in a flood zone, it can’t happen to me.” But the truth is, it can. Floods can happen anywhere. They are not planned. In fact there isn’t a state in the union that has NOT reported flooding. Spring, while promising warmer weather and the rebirth of plant life, also brings the increased possibility of flooding. So in honor of Spring’s first full week, let’s talk about flooding and some truths to help you determine if flood insurance should be added to your insurance portfolio for an extra measure of protection. After all, isn’t that what insurance is all about? A flood is defined as an overflow of water that submerges land, which is usually dry. As we stated above, each of the 50 states in the US have reported flood damage. So you need to be wary of floods no matter where you live. People who have homes near a body of water have the greatest risk. Homes near lakes, streams, behind a levee or downstream from a dam should all seriously consider a flood insurance policy. If you fall into any of the risk categories above, we’d like to offer you some facts about flood insurance to assist you in making an informed decision. Your homeowner’s insurance policy typically does not cover damage as a result of flooding. 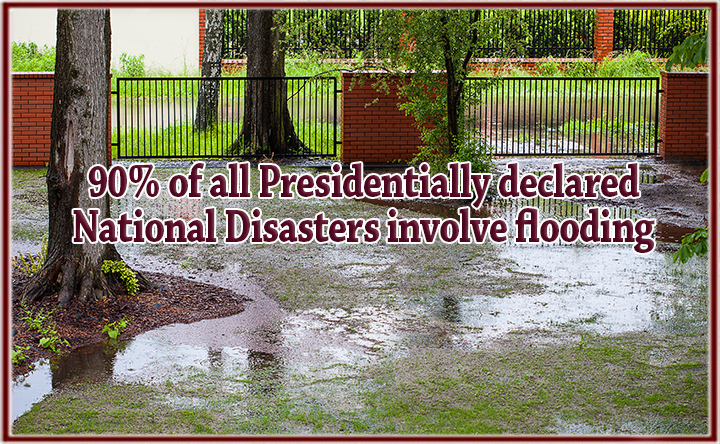 Most policies are written through the National Flood Insurance Program (NFIP). After you purchase a NFIP policy, there is a 30 day waiting period from the time it is processed before you can place any claims. When flooding damages a home, the resulting claim averages $38,000 in damage. For those in a preferred flood zone, an NFIP policy costs $400 to $600 annually. A NFIP policy has limits on the coverage. Up to $250,000 for the dwelling and up to $100,000 for personal belongings is the general rule. A handful of private carriers also offer flood insurance for those who live in favored zones. Therefore, if you are looking for a plan, NFIP may not be your only option. Making the decision to obtain flood insurance and finding suitable coverage doesn’t need to be a challenge. If you have been thinking about your risks and wondering if you need this type of coverage, please feel free to give us a call.